Photo: Shakhawat Hossain and Shahjahan Miah. 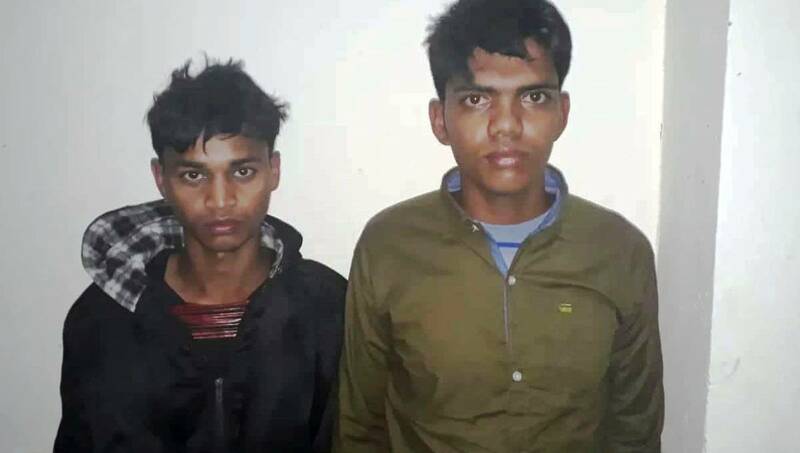 Sunamganj Correspondent : Police arrested two college students along with 90 Yaba tablets from Mallikpur area in Sunamganj district town on Sunday evening. The arrestees are Shakhawat Hossain, son of Abdul Motaleb and Shahjahan Miah, son of Jamal Hossain, residents of Tahirpur upazila and students of North East Ideal College. Md Shahidullah, officer-in-charge of Sadar Model Police Station, said that a team of police conducted a drive in the area and arrested the duo along with the Yaba. During primary interrogation, the two arrestees revealed the names of two suspected Yaba traders- Suma Akhter Sumi, daughter of Jahur Alam Jaku of Dolura village in Sadar upazila and Alam Sabbir, son of late Abdur Rashid of Binnakuli village in Tahirpur upazila. They brought the Yaba tablets from Sumi to send those to Sabbir, said the arrestees. Later, police filed a case accusing the four with Sadar Police Station.